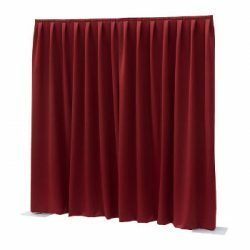 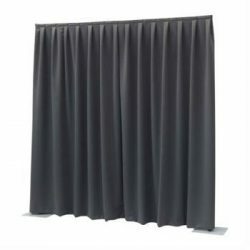 We stock black, white and red pleated drapes in a range of drops from 1.2m to 5m and black and white spaghetti string curtains in a 6m drop for use with the Wentex and Innovative Systems pipe and drape solutions. 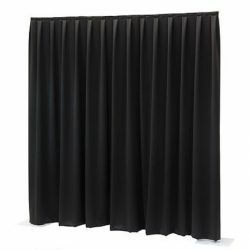 We also stock black stage skirt in 0.6m and 1m drops, alternative drop heights can be supplied on request. 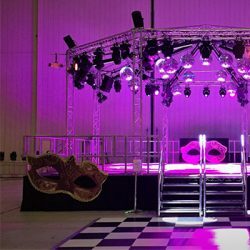 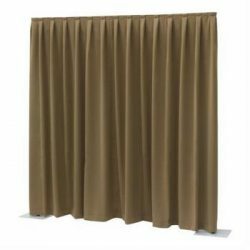 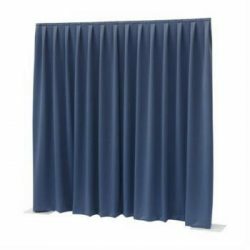 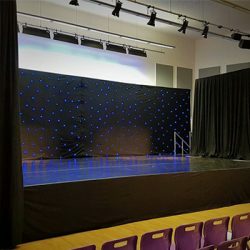 For more information about the Pipe and Drape systems that we use, have a look at our Pipe and Drapes page.